Long-leaved succulent plant that naturally forms a rosette shape and produces a flower spire of attractive cup shaped blooms. Aloes are a large genus of very diverse plants comprising around 450 species, many of which have been adopted as medicinal plants since ancient times. 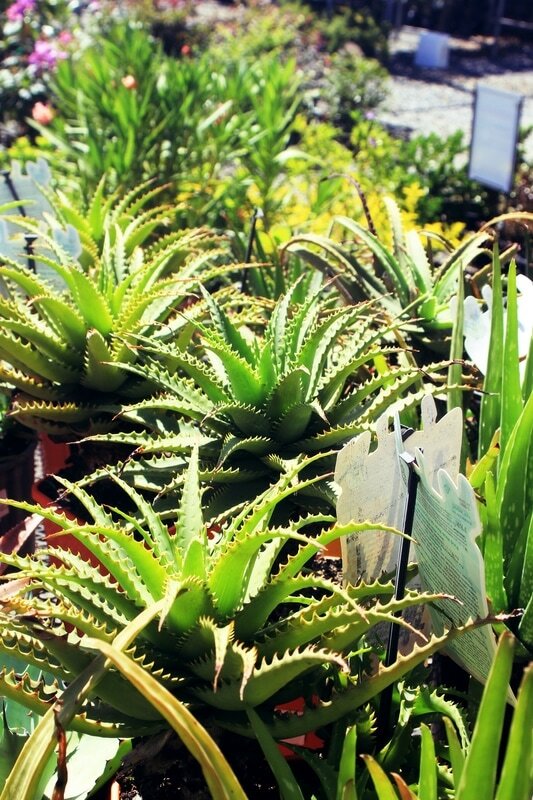 Aloes come in a variety of shapes and sizes, from the small grass aloes to those many metres tall. The spiky leaves and the bitter tasting sap prevent animal and insect attack. The leaves are waxy with sunken pores to prevent water loss. A genus of about 35 species. Most form small shrubs of multiple waxy rosettes on a basal stem. The leaves of many species have attractive variations. Shaped and typically yellow, borne on mature plants in pyramid shaped clusters at the end of the stems. Excellent for mass planting. An evergreen trailing vine with thin pendulous stems spreading to 4 m in length. The heart-shaped leaves are silver/green on top and flushed with purple on the undersurface. Waxy off-white to pale magenta flowers throughout the year. Shade/part sun. 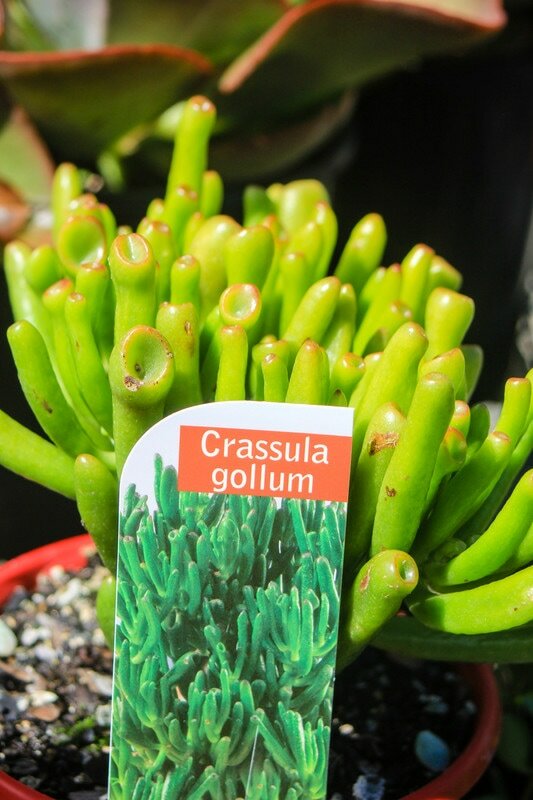 An erect succulent with unusual trumpet/tubular shaped leaves which are deep green in colour often with red tips. Height to 30-45cm. Prefers sunny position in garden or ideal container plant-kids love it! A dry tolerant, multi branched succulent shrub. Clusters of pink flowers during winter. Ideal for pots, tubs & garden beds. Prefers a warm sunny position with well drained soil. Fertilise in spring. 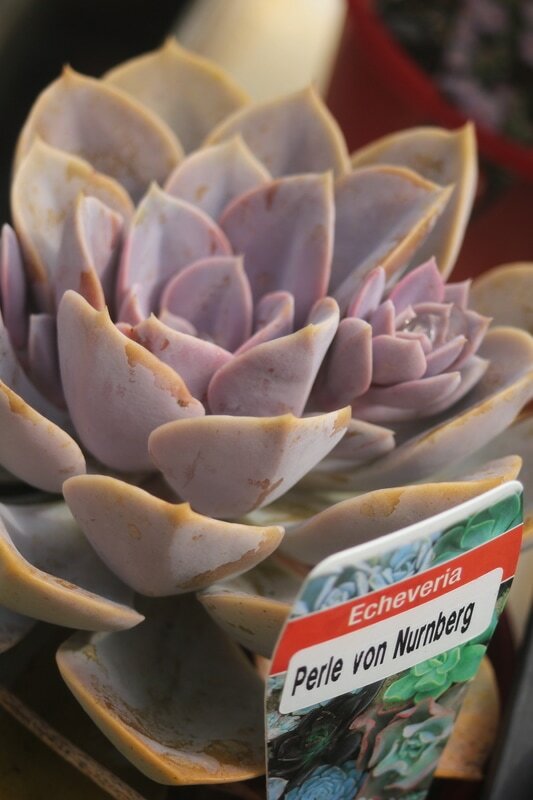 A lovely silvery succulent with rounded spoon-shaped leaves covered in a fine white powder. Develops a pink edge when grown in the sun. Grows to a small shrub. A miniature ground cover forming a dense clump of rosettes. The thick spiralling bright green leaves turn red when grown in the sun. Bright yellow flowers in winter. Sun/part sun. A cabbage like Echeveria, with large flat leaves that crinkle and frill at the edges. Large rosettes that can grow up to 30cm wide and reach up to 30cm in height. Silvery blue/green foliage with hues of orange to pink developing on the outer edges. Flowers are orange to pink in colour, and form on a tall stem towering the rosette. Prefers a full sun position. A stunning succulent with rosettes to 20cm across. Deep pink rounded leaves. Sensitive to over-watering and frost. Part sun/light shade. Low lying, ribbed, usually small to medium-sized cylindrical cacti. Echinocereus have some of the most brilliant flowers of the cactus family. They range in colour from electric-pink to deep scarlet to translucent browns and greens and even bright yellow. Related to the Aloes. They are stemless plants with thick leaves often marked with spots of various colours and usually arranged in pairs though some spiral with age. Most gasterias tolerate low light levels, and make excellent indoor plants. Hybrid crosses between Graptopetalum and Echeveria. Due to this mixed parentage they form a diverse genus, but most are low growing, cultivated for their beautiful shapes and colours. Has heads of small, starry, 4-petalled flowers open at varying times depending on the species. The blooms can be particularly vibrant, often in yellow, orange, or red shades. Can be grown outdoors in a sunny sheltered position or indoors. Bright coloured daisy like flowers completely cover these succulent – like plants. Excellent ground cover or rockery plant. Sunny position. Comprises over 60 species. Most are epiphytic (live in trees). Many have hanging stems making them excellent hanging basket specimens. Most prefer shade and some humidity. 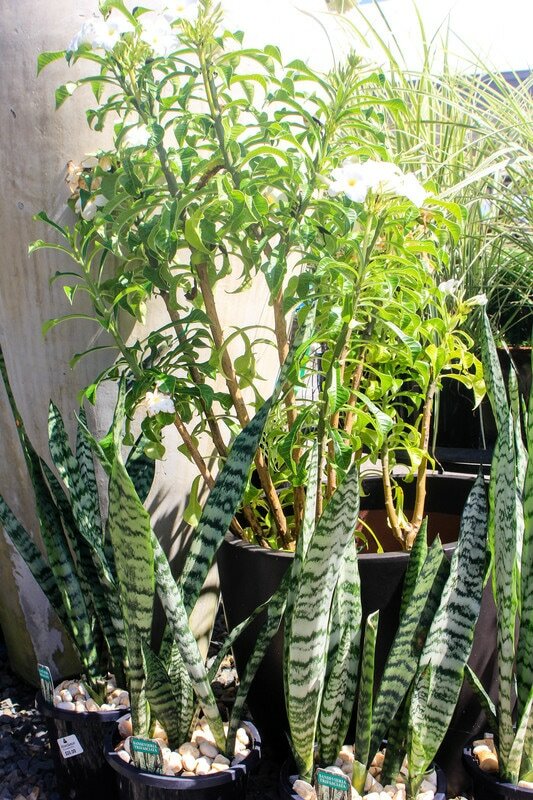 Commonly known as Mother In Law’s Tongue, has a modernistic look with its green upright leaves. General ground-covering nature and they tend ‘to sit’ on rocks, walls and other seemingly uninviting places. 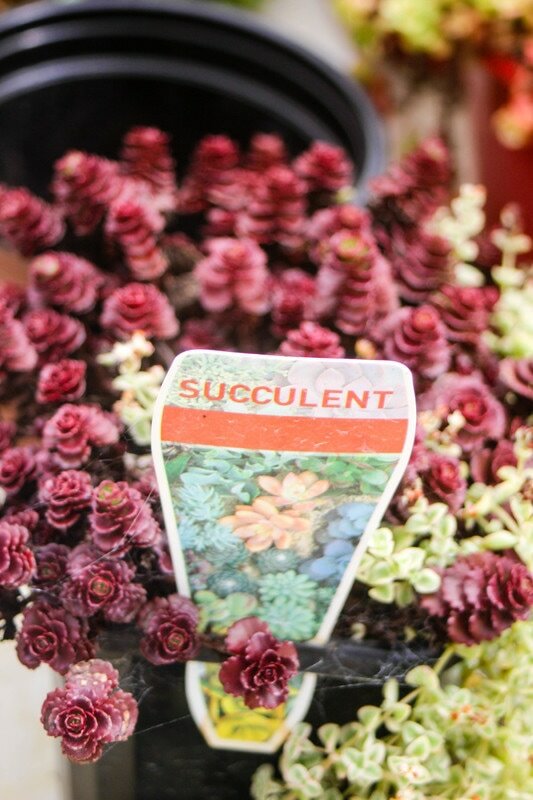 There are about 400 different species of sedum and many cultivars. They vary greatly in height, colour and flower shape, colour and season. These plants such as Donkey’s Tail trail over the edge of larger containers with other plants. The leaves are thick and fleshy and can be deep green, bluish or even striped. Senecio succulent leaves vary widely in shape. Some are round, some banana-shaped, some stand upright. Senecios are an interesting group of easy-to-care for succulent houseplants often grown in hanging baskets (String of Beans). String of pearls is a variety that has trailing stems, it’s often grown in hanging baskets so you can enjoy the plant’s interesting texture. Like all plants, getting a good foundation for your plants to thrive is important. 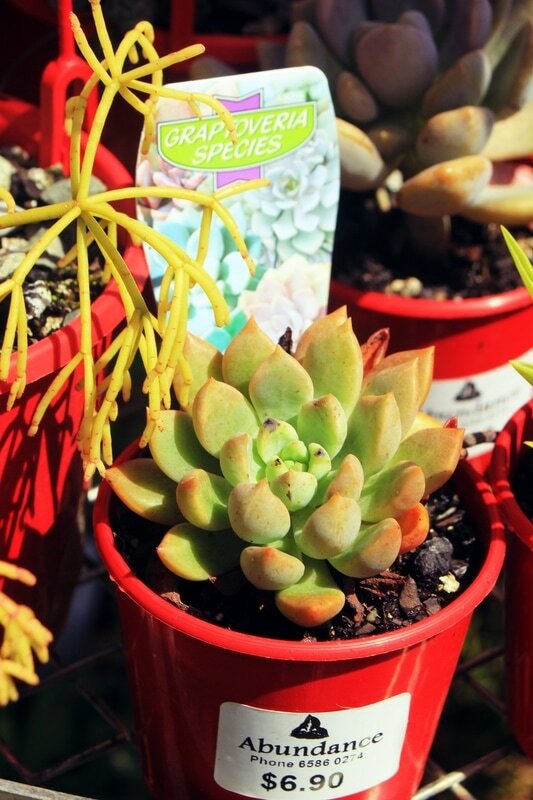 Check out some tips on planting your succulents here. Get creative with your succulent gardens, use different pots, fun planters, old boots, tea cup/tea pots. 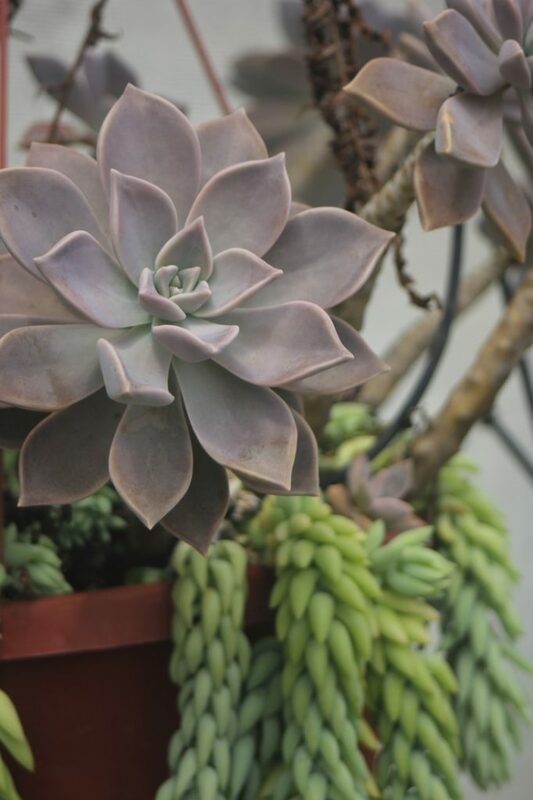 We have a large variety of succulents and cacti available at Abundance Garden Centre. See more images of our range here.